Jon Beresford worked in the British coal industry for 23 years, his last job coming 12 years ago as a technical engineer at a power station. By then, his awareness of coal’s impact on pollution and climate change made him take a chance on the fledging UK offshore wind industry. The excitement here for offshore wind is unbridled. The Humber estuary region, anchored by the east coast cities of Hull and Grimsby, already has 240 turbines in its waters, with construction and planning underway for another 400. 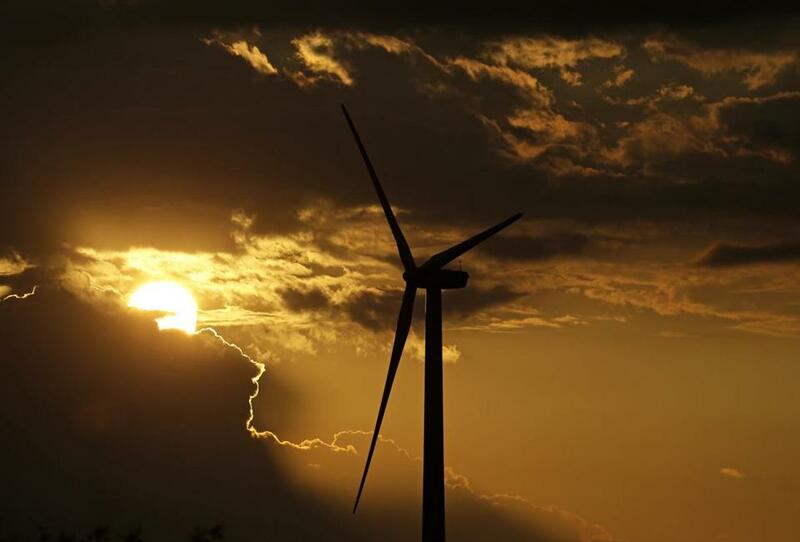 Last month, its projects passed the 1 gigawatt mark of power, on its way to a 3.5 gigawatts. One of those groups went as far as to accuse Governor Charlie Baker’s regulators of participating in an “unholy alliance” with utility companies. 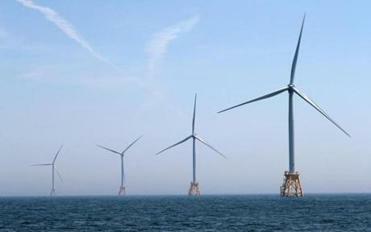 That offered a blueprint to a New Bedford delegation that visited here this spring as Massachusetts utilities solicit bids for up to the first 800 megawatts of the state’s mandate for 1.6 gigawatts of offshore wind by 2027. With hopes of becoming America’s first offshore wind business hub, New Bedford’s mayor and several civic, business, labor, and education leaders wanted to see how the Humber is reviving itself with wind. The collapse of fishing and loss of other manufacturing jobs sent Grimsby and Hull soaring into respective unemployment rates of 12 percent and 16 percent in 2012, according to government data. Offshore wind picked up the slack in a way even some industry experts did not foresee. The UK government went big on offshore wind in the early 2000s with capital grants to seed the earliest wind farms close to shore, starting with two 30-tower projects with turbines of 2 megawatts apiece. The nation is the global leader in installations, with 1,500 of Europe’s 3,600 turbines dotting its waters, producing enough electricity for nearly all the combined domestic needs of its three biggest cities, London, Manchester, and Birmingham. That is only the start in the UK and Europe. The quadrupling of turbine power since the early 2000s to 8 megawatts, fierce competition, and efficient supply chains have driven down the once-daunting cost of offshore wind to the level where Germany this year approved for the first time offshore wind projects without government subsidies. Germany, Denmark, and Belgium promised recently to quintuple the continent’s offshore power by 2030, which would cover almost a quarter of the homes in the European Union, based on data from the trade group WindEurope. The UK is already on track to double its offshore power by 2020 and double it again by 2030. That means jobs. Nationally, a University of Hull study recently predicts that direct and indirect jobs should grow from today’s 17,500 to nearly 40,000 by 2032. Hull and Grimsby will likely go from its current 1,500 full-time offshore workers to more than 6,000 and probably add thousands more indirect workers in local businesses. Already, unemployment in Hull and Grimsby is half that of five years ago. Hull received a big boost this year by being designated the UK’s “City of Culture” and is building a $47 million concert hall and conference center near a waterfront with ambitious restaurants. “We’re projecting we’re going to need 13,000 new homes,” Wheatley said. The centerpieces of offshore wind employment in the Humber are a new and giant $400 million Siemens blade factory and a $7.8 billion investment by Dong. The investments by these German and Danish offshore titans were welcomed despite the region voting overwhelmingly to leave the EU in Brexit. Clare McVeigh, Dong’s offshore coordinator for the turbines at the Westermost Rough wind farm, had worked for a now-closed gas-fired power plant. Despite no formal training managing the flow of service boats and helicopters, she earned a top company employee award last year. “I love it because it’s an industry where you learn as you go,” she said. Derrick Z. Jackson is a Globe contributing columnist and a climate and energy fellow with the Union of Concerned Scientists. He can be reached at jackson@globe.com.